Sir David Attenborough returns to our screens tonight narrating a new nature documentary: Dynasties. Over the course of five weeks, this series will follow individual animals – chimpanzees, emperor penguins, lions, painted wolves, and tigers – as they protect and lead their respective social units. To accompany each episode, we will be publishing a blog post about each species featured in the show, focusing on their interactions with other members of their species. Tonight, we will be starting with one of our closest relatives in the animal kingdom, who we diverged from roughly six million years ago: chimpanzees. Be sure to check the OUPblog over the next four weeks to catch the rest of this blog series! Rather than sticking with a large group – or ‘community’ – at all times, chimpanzees have a fission-fusion group dynamic. Chimpanzees live within a large community and inhabit the same area, but they often roam solo, coming together into small parties at feeding sites or for social interaction, with individuals coming and going as they please. Small parties within a community are often formed based on social bonds. For example, some males form alliances with each other, and dominant males can attract a posse; furthermore, chimpanzees tend to roam with their friends and close family, while mothers and babies always stick together. Image credit: Mother and child by PatternPictures. CC0 via Pixabay. While male chimpanzees remain with the community they were born into for life, females usually transfer to neighbouring communities when they reach adolescence, before they begin to reproduce. When they move, immigrant chimpanzees often face aggression from the resident females, and the immigrants become dependent on the resident males for protection and friendship as they settle into the new community. Male chimpanzees are more sociable than females, to the extent that they have a ‘male-bonded society’. Males form dominance relationships which can lead to dominance hierarchies – i.e. competition to be alpha male of the community. 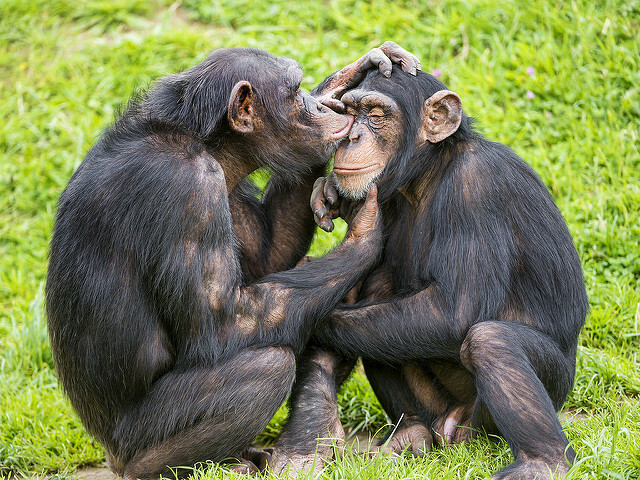 Despite some rivalry being apparent, males have friendly interactions with each other: male chimpanzees groom each other and reconcile after conflicts more often than females do. 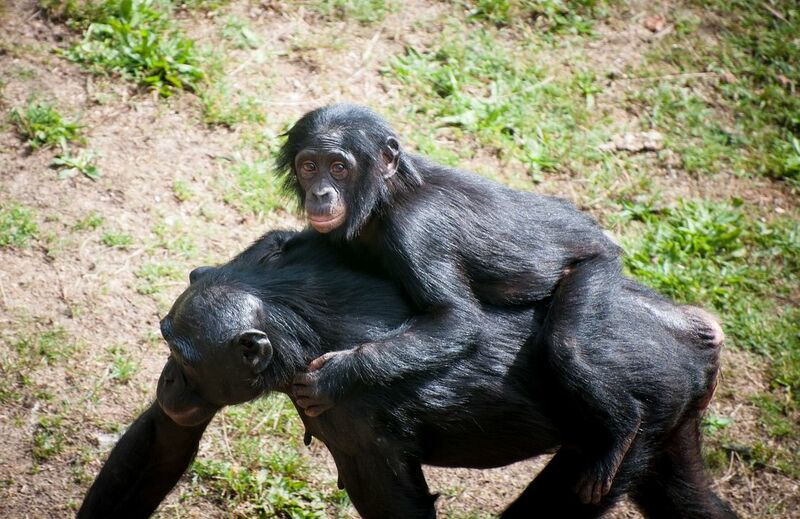 Image credit: Young chimps taking care of each other by Tambako The Jaguar. CC BY-ND 2.0 via Flickr. Male chimpanzees often patrol the boundaries of their territory to observe their neighbours and protect against threats. The size of a chimpanzee community’s territory grows as the number of males increases, and also as the males grow in strength because this means they are better equipped to fight their neighbours and prevent territory theft. Occasionally when neighbouring communities meet, a fight can break out between the opposing males. Male chimpanzees are known to kill rival chimpanzees, not just the opposing males but also infants and infertile adult females. 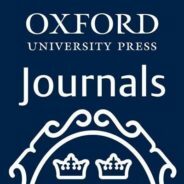 In mammals, lethal aggression between groups of males is unusual, even more so in primates where the behaviour only occurs in chimpanzees and humans. Among females, those with top billing are better fed. Higher-ranking females spend less time foraging for food but still have a higher diet quality than subordinate females, who must spend more time seeking out food in a lower-quality habitat – i.e. somewhere with fewer, lower-quality food sources – to avoid associating with dominant females and ensure nutritional needs are met. When fertile, female chimpanzees alter their feeding habits, favouring lower-quality habitats – where males can be found – than they are entitled to by hierarchical status. This suggests that females, rather than males, alter their movement patterns in order to mate, females being ultimately responsible for the continuation of the population. Chimpanzees don’t tend to have permanent (or even semi-permanent) mates. Instead, female chimpanzees copulate with multiple males within their community, in order to confuse paternity and reduce the likelihood of their offspring being killed by males. However, when females are ovulating, high-ranking males try to prevent them from mating with other males within the community, with some success: it has been found that high-ranking males have more offspring within their community than low-ranking males, and can even persuade a female to mate solely with him for a short period of time. Featured image credit: Chimpanzees in Uganda by USAID Africa Bureau. Public Domain via Wikimedia Commons.